If you have been a victim of an accident, there is no doubt that the aftercare you choose could be the best decision that you ever made. Getting back on your feet will not be as easy as most people assume. For this reason, an accident chiropractic Phoenix professional will be essential if you are to manage through this struggle. The fact that we limit our services to accidents and work-related injuries means that we have gained skills in what we do and this makes our services quite good. As it is, accidents are quite common. Nearly every day a lot of people are involved in accidents that are either work related or auto related. How you are handled from the beginning does matter a lot. The good thing is that our chiropractors are quite comprehensive in terms of the services they offer. If you contact our office, we can even schedule a visit so that you can access the services with ease. Again, we also offer a variety of services on chiropractic care. 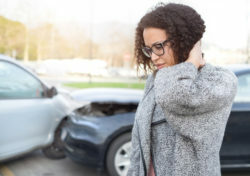 Whiplash is one common injury for car accident victims. 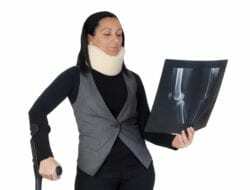 Unfortunately, the symptoms of these injuries may take quite a long time before they fully appear. This simply means that you need to see a chiropractor as soon as you can. We do have the skills that can help you get relief from the whiplash especially when it comes to neck pain relief. The issue of time is also quite vital. Sometimes victims tend to wait for too long before seeking treatment. This, however, can result in long-term results. This could result in spinal discs or worsening of the existing spinal issues. Thus, you may have issues that are even more complicated to treat and this may cost you a lot in the future. Needless to say, it is worth noting that most of the methods that we use are quite safe. Your chiropractor will apply targeted but gentle force on the joints so that we help treat the issue. In other instances, we may use pressure to relax the neck muscles. At the same time, it is vital to ensure that there are specialized neck exercises so that we do prevent disc degeneration. If you have suffered a car crash or had an injury at work, chiropractic treatment will be quite beneficial. Contact us at any time for such services. Having been tried and tested, you can be certain our treatment will come in as very beneficial.